AWARD WINNING builder's own home - FIRST TIME on market. 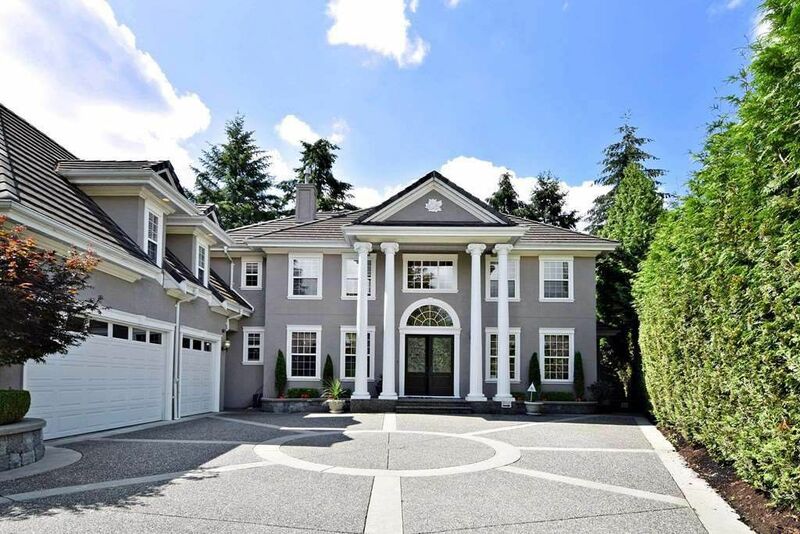 One of Port Coquitlam's most sought after & DESIREABLE STREETS of EXCLUSIVE HOMES - THIS STUNNING 3 time GOLD GEORGIE AWARD WINNING HOME was voted BEST MASTER SUITE, BEST KITCHEN & BEST YARD in 1994. 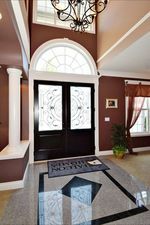 Stately columns provide charm to the homes GRANDIOSE FRONT ENTRANCE. Almost 7,000 sf of QUALITY living with 7 BEDROOMS, 5 BATHROOMS, 10 ZONE HOT WATER HEAT. GRANITE COUNTERTOPS, SUB ZERO FRIDGE, STEAM SHOWER & HEATED FLOORS. MANY UPGRADES. Walls of WINDOWS capture the SPECTACULAR RIVER VIEWS to the south. Outside living is enhanced with multi-level concrete patios, SPACIOUS decks & CAPPED GRANITE walls. There is a TRIPLE GARAGE with a massive games room above. THE HOME is perfectly set-up for extended family or home based business.